U-Pet Wellness is always looking for great new “wellness” products to keep your active canine companion & canine athlete healthy & happy! 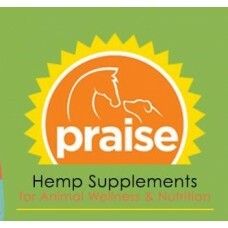 Praise Natural Hemp Oil for Animals, a Canadian-Based company! 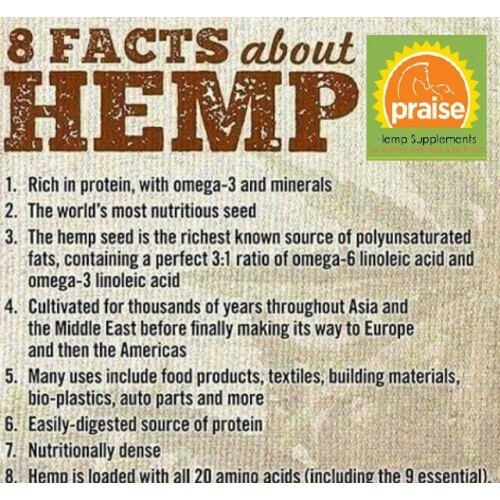 Hemp is one of our oldest and most versatile plants, dating back to the 28th century BC. Today, hemp is used in foods and even textiles, but we’re most interested in the Hemp seed and the oil it produces. 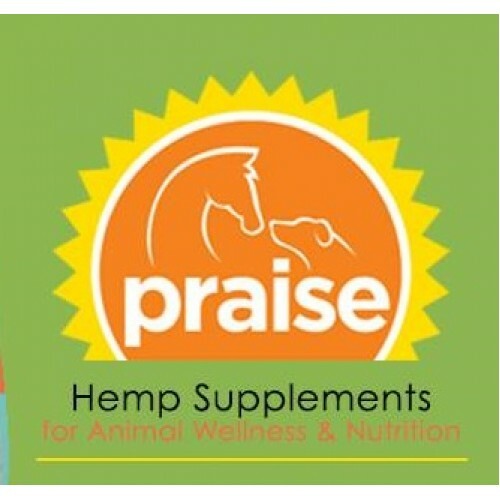 Praise Hemp Oil contains the perfect ratio of Omega-6 (linoleum acid) to Omega-3 (alpha linolenic acid) fatty acids. These are essential fatty acids, meaning your dog can’t produce them and needs to get them in their diet. While GLA is considered a conditionally essential fatty acid (which means that most dogs can make enough of it, most of the time), there are many circumstances (hard exercise or stress) where our dogs can’t make enough GLA and supplementing can become important, so by balancing the GLA with Omega-3 fats, hemp seed oil may be beneficial in reducing inflammation in your dog and supports/strengthen the immune system. 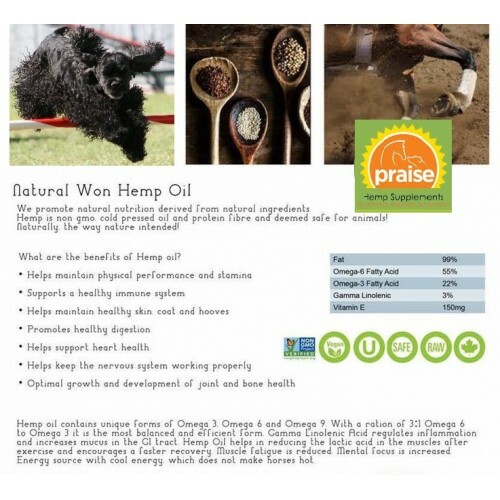 A good balance of these Omega oils is critical to your dog’s health because they work synergistically in the body to reduce inflammation naturally; aid in a healthy skin & coat!